Odissi: This dance form originated from the state of Odissa (formerly known as Orissa). Odissi was predominantly performed by women. In the modern era men have joined women in performing the odissi dance. Like other dances even this dance is based on dance drama combination on mythological stories. The only difference between this dance form and other classical dances include Tribhang posture which means it deals with head, bust and torso. Odissi dance includes three elements Nritta (pure dance) Nritya (communicate the feelings)and Natya (team performance). Traditionally the dance begins with a prayer called as Mangalacharana. Usually in this a hymn is sung praising the God. After Mangalacharana flowers is offered to God which is called as Puspanjali and later salutation is given to mother earth which is called as Bhumi Pranam. The prayer offered also include their Gurus and to other dancers. While performing Nritta no song is sung. It is just slow hand movements along with neck, eyes, torso movements. Next comes the Nritya and later Natya part is done. The concluding part of the dance is called as Moksha. The three main dance positions in Odissi are Samabhanga, Abhanga and Tribhanga. There are 63 Mudras in Odissi dance which include Asamyukta mudra, Samyukta mudra and Nrutya mudra. Some of the primary ragas in Odissi dance include Bhairavee, Baradi, Panchama and Karnatta. The instruments used are sitar, violin, cymbals and flute. The troupe usually consists of musicians, singers and musical instruments. Like other dances even Odissi dance also traces its roots back to Natya Shastra, an ancient Hindu text on performing arts. Natya Shastra was written by Bharatha Muni which contains 6000 verses and 36 chapters. The inscriptions and carvings of the dance posture are found in Buddhists, Jain and Hindu archaeological sites. 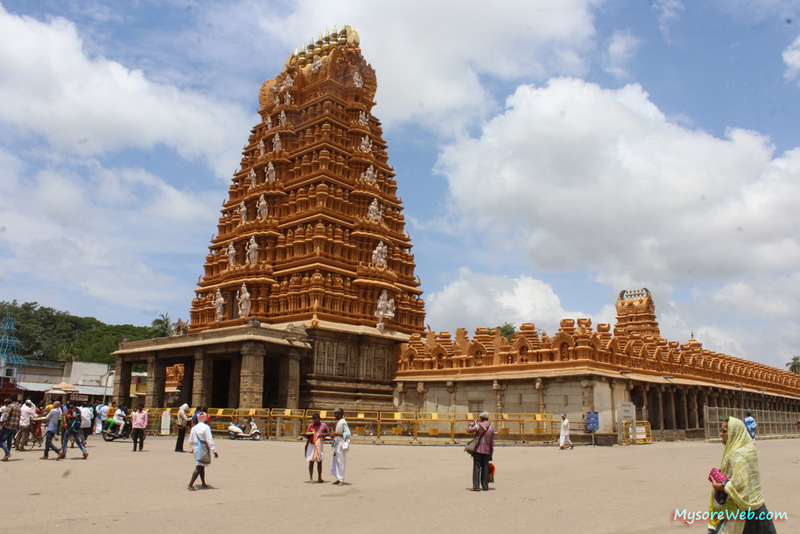 Some of the famous archaeological sites include Ranigumpha in Udaygiri, Ratnagiri and Aligiri sites. The cave depicts various odisssi dance steps. Kapila Vatsyayana a famous and well known scholar of Indian dance and architecture has mentioned in Jain manuscripts some famous dance poses of Odissi like Samapada and Tribhangi. It was discovered in Gujarat. The sculptures of Jagnath temple in Puri, Konark temple and Brahmeswara temple in Bhubaneswar show different poses of Odissi dance. The costume of this dance is similar to that of Bharatanatyam. The dancers wear bright coloured saree with lot of jewellery. The saree has pleats in front which gives beauty to saree as well it help in the foot movement for the dancers. Silver jewellery is worn on head, waist and ear. Waist band is worn which holds the saree. Ghunguru is also worn by the dancers which makes rhythmic music when the dancers move their feet. Ear rings called as Kapa beautify the ears and the sides of the head. The hands and wrists are covered with bangles. Along with bangles the dancers also wear Bahichudi on the upper arm. The arms are coloured with red colour dye called as Alta. The male dancers wear Dhoti. The chest is bare or is covered with thin cloth. This dance saw a decline during Islamic era of India and later was suppressed during British period. The revival of one of the finest classical dance started after independence. This dance exists in two major forms one done by women usually done in temples and the other is performed by men dressed as women (gotipuas). This includes some athletic and acrobatic moves and is usually performed during festival seasons. 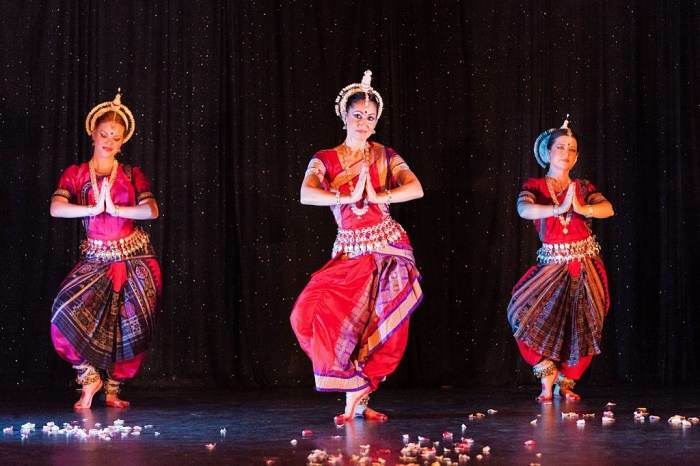 The major part of this dance form includes Indian ragas both from south and north India like Bhairavi, Kalyana, Dhanashree, Nata, Shree Gowda and Baradi. The music is usually Odissi music. Some of the instruments used are Mardala, Harmonium, Flute, Sitar, Violin and cymbals. The music is more lyrical than Carnatic and Hindustani. Maharis. This was performed by Oriya devadasi. It was more sensuous as compared to the other two. Nartaki. This dance took place in royal courts. Some of the famous dancers in this form of dance include Raghunath Dutta, Deb Prasad Das, Anita Babu and many more.